Heaven looks a lot like Tioga Pass: record opening 01/02/12My idea of heaven is the high country in Yosemite near Tioga Pass. 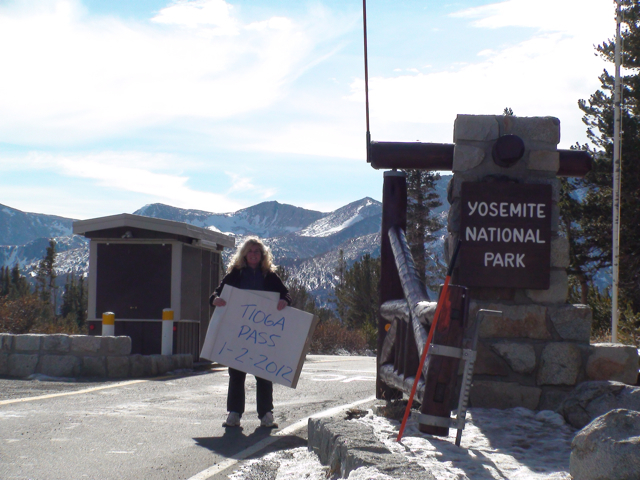 So when I made the drive up to Tioga Pass today-the latest the road has ever been open in its history-I paraphrased the line that Jon Bon Jovi used recently to debunk his reported demise. 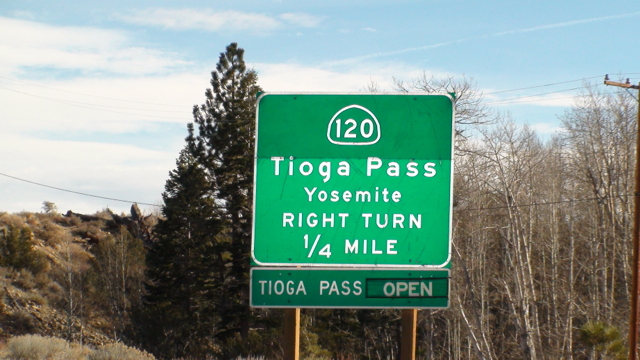 The previous record for Tioga Road occurred on January 1, 2000 when the National Park Service reopened it briefly on New Year's Day. Since 1933, the road has been open 6 times past December 1. I wrote a recent article detailing this rare occurrence for National Parks Traveler, spoke about the specialness on KQED, and CNN iReports even featured a video I made of people ice skating on Tenaya Lake from the top of Tenaya Peak. Bottom line: for a Yosemite and Sierra aficionado like me, having access this late is akin to winning the lottery. Of course when I have no drinking water next summer, I might feel differently. The lack of snow is alarming and the landscape is more reminiscent of spring than winter. Although it's difficult to associate any one weather event or season to climate change, welcome to the Sierra Nevada of the future. I have seen predictions under the best case warming scenarios of an 80% reduction in snowpack. The Sierra can often deliver a wallop of a storm anytime of year, and I have no doubt we'll recover at least some of the snow--this year at least. But this may be a warning from the ghost of the Sierra future. 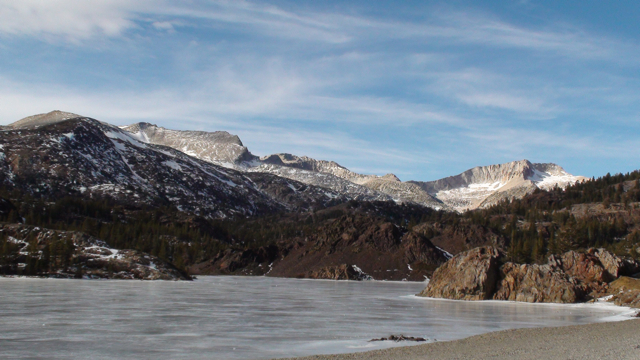 Despite the threat of drought, let's celebrate this historic occasion--Tioga Road, you did it! 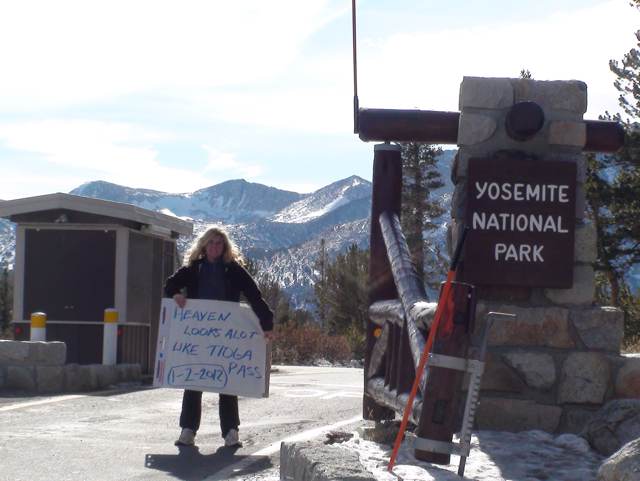 For those of you who couldn't drive Tioga Road today, I made a video and took some photos for you. Enjoy!